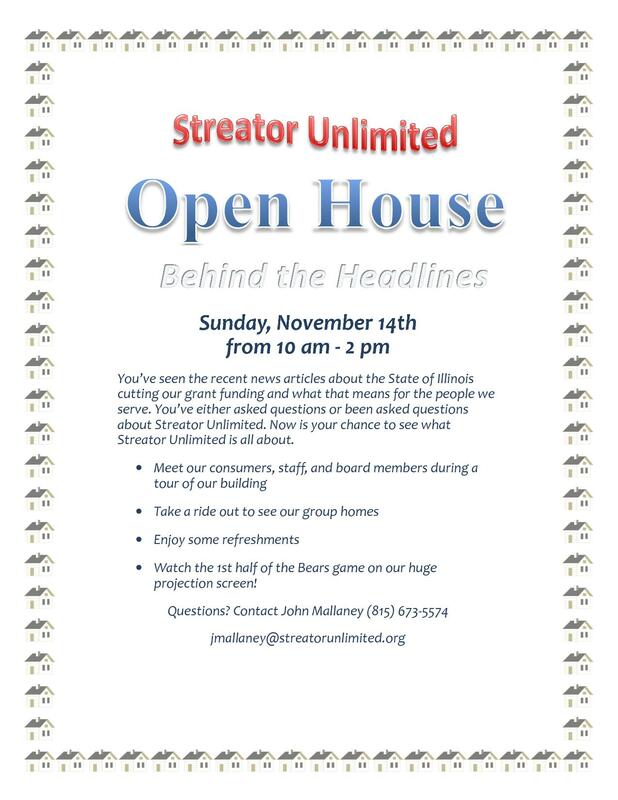 We’re having an open house on Sunday, November 14, from 10 am – 2 pm. Please come tour, and encourage everyone you know. 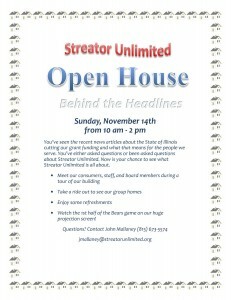 There are still a lot of people in the Streator Community who don’t know who we really are yet. We’re also getting asked lots of questions about the recent articles in the Times. People who come through are always surprised and good things always come from more people knowing us and the good work we do. This is very important to us, so please help us have a good turnout.